In May of 2011, a New Section Organization for the Northeast Region was announced. Thanks to Bill Mulrenin, who posted a copy on his blog. 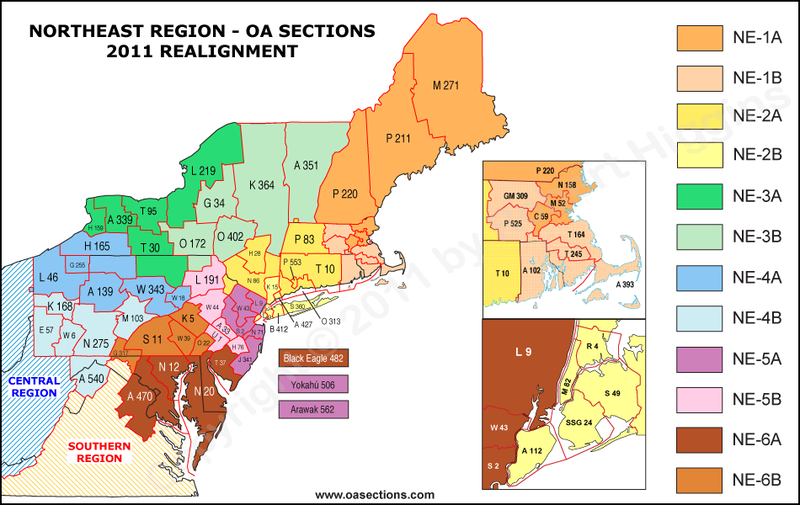 Area 7 was eliminated, and because Areas 2 and 3 were increased to two sections each (A&B), the region remained at twelve sections. New sections will go into effect following the 2011 conclaves. Copyright © 2011-18 by Robert Higgins. All rights reserved.